Living in Shanghai can be a major drain on your wallet and quicker than the Maglev train, you can be hearing the hollow sounds of coins clanging in your pocket if you are not careful. So what is a girl to do when she is constantly surrounded by cute, lovely and beautiful things to buy everywhere she goes? Today I'll give you my number one tip that has kept me from going broke while living in Shanghai, along with a few other tips I've picked up over the year. I'm troubled by all the cute things. Rather than call it a "wish list", my want list is a compilation of things I plan on purchasing. 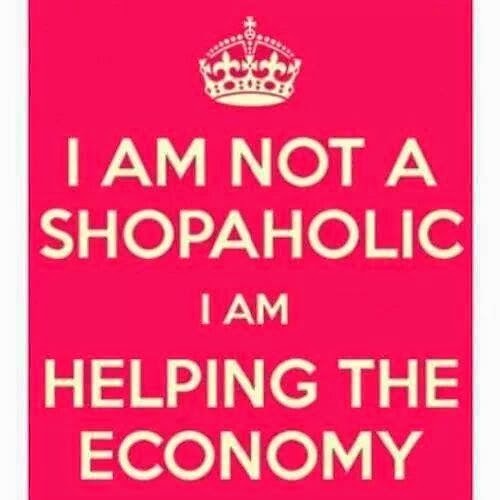 Because I love clothing, shoes and accessories, (and that's where I typically and frequent lose track of my budget), I focus my want list on those things. To make sure I stick to the plan, I devote some time to drawing out a visual of the items and stick it on the inside of my closet door. Here's my "Spring Want List" visual. Of course there are many other items I want, but these are the key items I want this season. 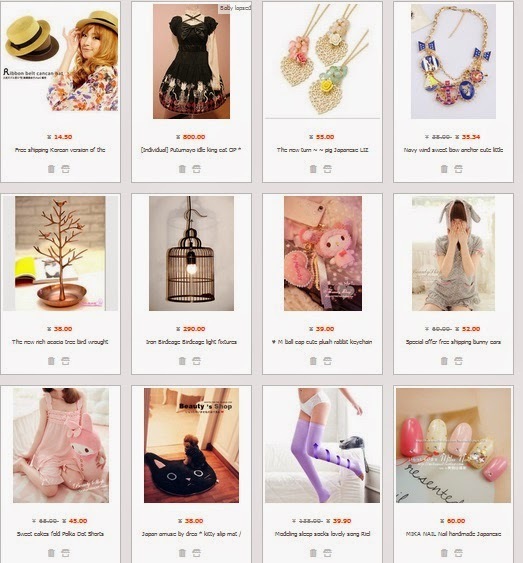 In addition to this visual, I also keep a running list of "liked" pages on my taobao account. 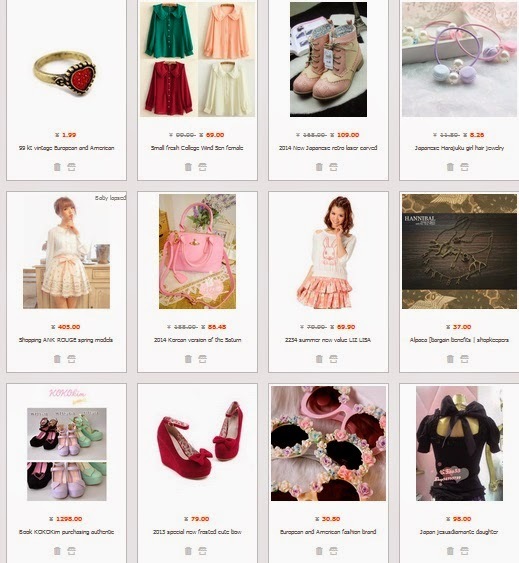 If you don't have taobao, you can use sites like wantlo, pintrest ,tumblr or even magazine cut-outs to collect images of items you'd like. The whole point is to refer back to them to keep you on track, so make sure you do that!! The only problem with using web based image sites is that it is very easy to get out of control. 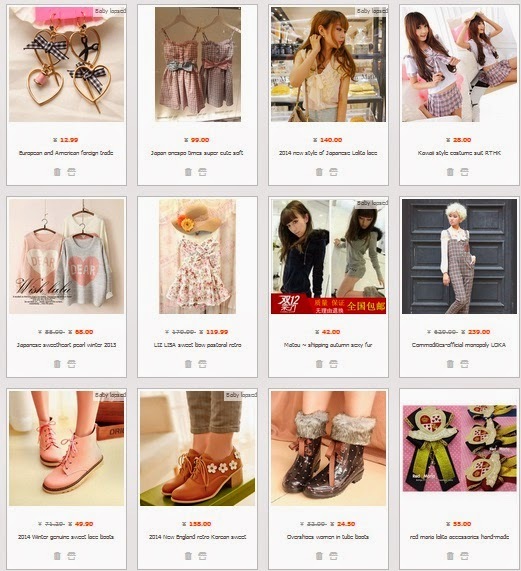 My taobao "like" is over 8 pages long!! Here are some snap shots of my ever growing want list. So that's my number one tip for staying on budget in this city, or any other! Bargain, bargain, bargain! You can do this practically everywhere and you'd be surprised how quickly the shop assistances will go from "special foreigner only price" to something you'd actually be willing to pay. Learn the sale periods for shops you like. Sales are usually very predictable (ex. Liz Lisa has their winter sale the first week of January) and knowing the time can really help you save. So, that sums up my money saving tips. I hope these tips were helpful! I'd love to hear your tips for saving money and of course if you keep a visual like I do, I'd love to see it! 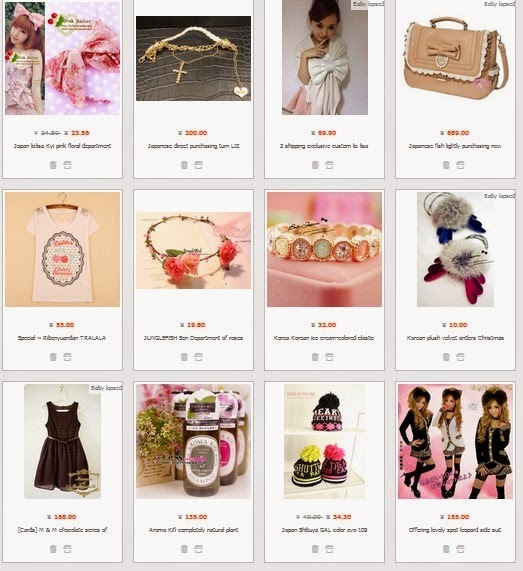 Welcome to my blog, Cute Shanghai! I'm just a regular girl living in Shanghai looking for cute things in the city to show the world. I mostly write about cafes, shopping and popular locations, but occasionally I like to share things about myself. I hope you enjoy this personalized look into Shanghai's cute culture. Swimmer going out of business?? Traveling to Shanghai? You will need a VPN to access this site from Mainland China. Sorry for the inconvenience.